The 10K run starts on Ein Bokek road opposite the new Dead Sea Mall and heading north. Runners will run towards Ein Bokek junction where the course will turn right (north) and continue on route 90 alongside the Dead Sea scenic shoreline and sparkling blue and turquoise water on the right. Approximately 5km from the promenade the course will turn back south towards the new hotel promenade (note Nahal Ein Bokek crossing) on the way to the festive beachfront finish area, opposite the new Dead Sea Mall. 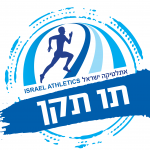 The Israeli Athletics Association (IAA) officially recognizes the results of this competition. 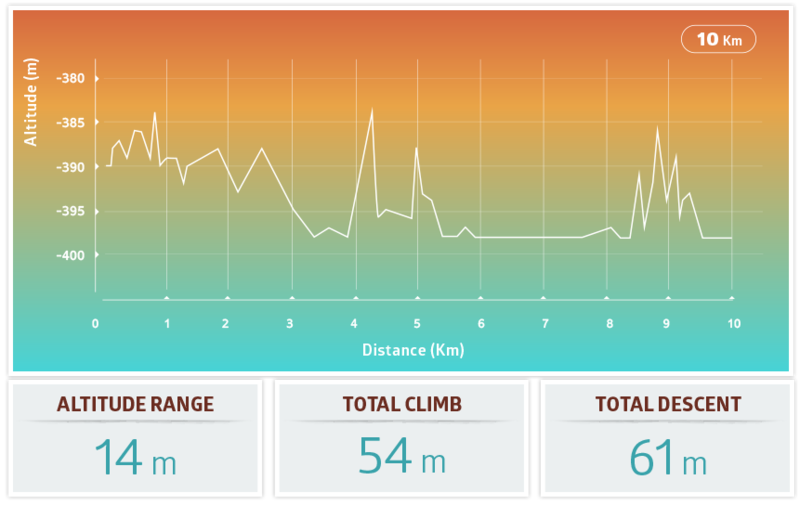 Dead Sea Marathon is measured by an AIMS-certified expert. There will be a water stand near kilometer 3 and another on the way back near kilometer 7. It is advised to carry a personal water bag/hydration belt and your favorite snack bar and/or energy gels. Some of the water stands will provide bottled water, and some cups of water. Money Prizes will be awarded only to men and women in the first three places of the general category. Age categories are determined by year of birth rather than exact date of birth, i.e. : a participant born in February 1990 and a participant born at the end of December of that year are both classified as 29 years old. Age category is set prior to the race during check-in.